The S463-QL Equivalent Replacement Maintenance Kit contains an equivalent replacement ultraviolet lamp for the S463RL, equivalent replacement quartz sleeve for the QS-463, and O-rings for the Sterilight® S5Q-PA, S5Q-PA/2, S5Q-PA/2A, S5Q-PA/2B, SV5Q-PA, and SSM-24. 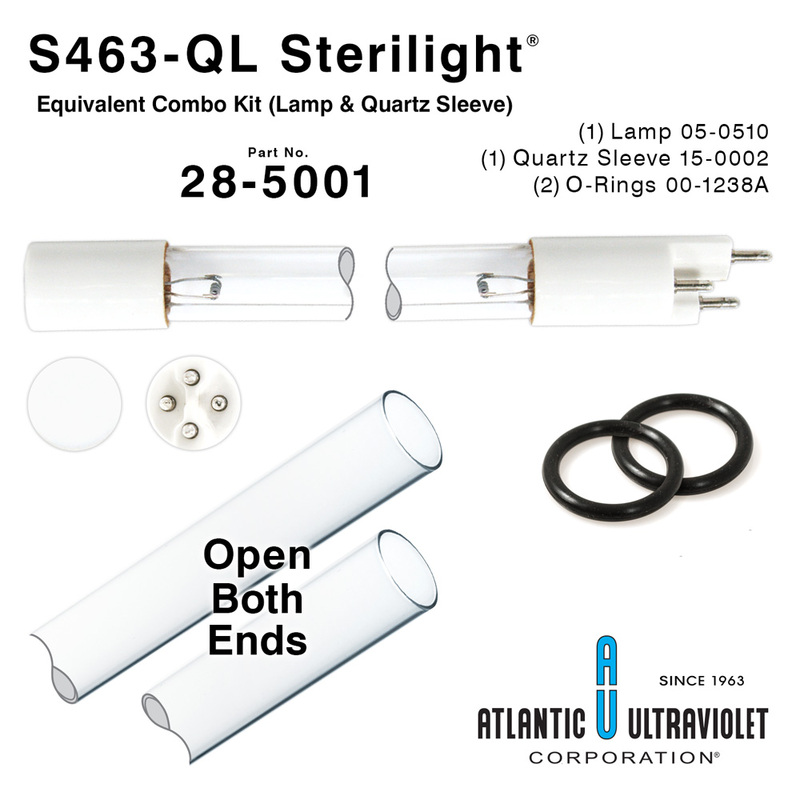 Disclaimer: This is an Atlantic Ultraviolet Corporation® STER-L-RAY® brand lamp and Crystal Clear™ brand quartz sleeve. They can be used as an equivalent replacement parts for other brands.